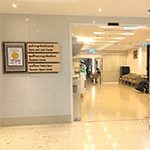 August 21, 2018 Suwicharn Bamrungchaowkasem, M.D. Eating half a banana, raisins or small crackers at least 30 minutes before exercising will help provide the body with the nutrients it needs to prepare enough energy for your workout. To run correctly, you should strive for 180 strides per minute, or 3 strides per second. Try to work on eliminating over-striding or landing with the heel striking the ground first, as this can cause injury or shock to the knee joint. During intense exercise, the body will secrete adrenaline, which stimulates the autonomic nervous system of the body, causing you to be unable to sleep. With the world at our fingertips thanks to social media, communicating, finding information and the sharing of both real and fake news is easier than ever before. The subject of exercise is no exception. To find out whether some of these stories about exercising are true or false, we need to listen to actual experts on the subject, so that we don’t share incorrect information unknowingly. Truth: Drinking lots of water immediately before exercising can make you feel stuffed and overly full, as the water is unable to reach the lower digestive tract in time. However, you should drink about two to three deciliters of water about 30 minutes before you exercise. This is especially important if you hope to lose a lot of sweat during an outdoor workout, or if you are exercising just after waking up, as your body will have been without water for a long period of time while you were sleeping. 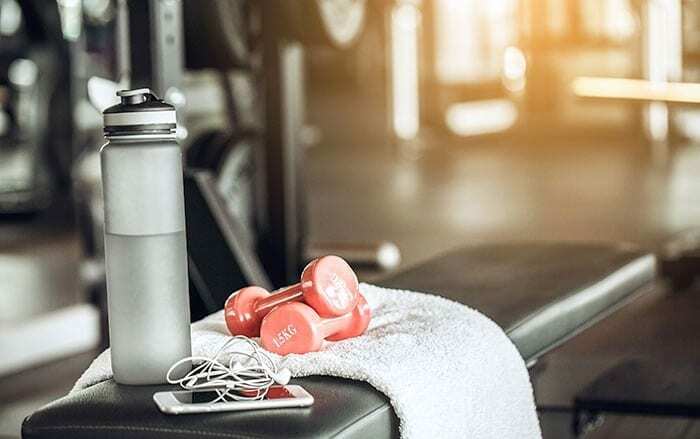 It’s also a good idea to take small sips of water often throughout a workout in order to prevent dehydration, which can be dangerous to your health. Truth: Exercising on an empty stomach will reduce the effectiveness of your workout. You should eat a small meal that is easy to digest at least 30 minutes before exercising. For example, half a banana, raisins or small crackers are all good ways of providing the body with the nutrients it needs to prepare enough energy for your exercises. As far as whether you will burn more fat or not, this depends on the type and duration of your exercise routine. If you are looking to burn fat, some types of aerobic exercise that last for 30 minutes or more are what you need, as the body will take its energy from both fats and muscle protein. Because of this, in order to ensure you don’t lose muscle mass when your exercise, it’s important to build up your muscle strength with weight training as well. Truth: The reason you sweat a lot during exercise is because the body is releasing that water in order to help control and keep your body temperature down. How many calories you burn depends on the type of activity and the duration of the exercise. As you can see, the two—the amount you sweat and how many calories you burn—are not related. Excessive sweating puts the body at risk of dehydration, which can result in injury, cramps or—if you go without water for too long—fainting or heat stroke, which can be very dangerous. Therefore, if you have a tendency to sweat a lot while exercising, remember to take frequent sips of water, especially during the summer or hot season. Truth: The type of running that has an adverse impact on the knees is called over-striding. This involves the toes and foot landing too far out in front of the knee, causing the heel to strike the ground first. The result of this is a heavy impact on the knee, which can cause injury to the kneecap. In order to reduce your over-stride, you should try to increase your stride rate (cadence). You should aim for 180 strides per minute, or 3 strides per second. Combined with leaning the body slightly forward, this can help reduce injury to the patella membrane. Therefore, runners should take note of their posture and stride while running, in order to determine whether it is the cause of their knee pain or not. Additionally, knee pain may also be due to previous injuries, such as a dislocation or loose knee joint, or due to a meniscus injury. In cases like these, you should consult a doctor for treatment or repair before taking up running again. Truth: The muscle group that is being worked will receive minute tears and other damage at the fiber level, which will trigger the body’s healing process and stimulate its production of protein. This process in turn increases the strength and size of the muscles. This may then cause some pain or aching in the muscles, for instance after weight training. However, the body should be allowed to rest for a period of time for muscle recovery. If you begin to repeat the same kind of exercises too quickly, it will thwart the proper development of the muscles, and also carries a risk of injury. Exercise injuries you should watch out for are those that cause symptoms of abnormal pain, such as when you cannot put your weight down on the injured area, when there is pain and swelling in the joint area, or when you are unable to fully extend or flex the affected limb. In such cases, you should seek out medical diagnosis and treatment from a doctor. You should not continue to exercise the injured area, as this could potentially have a negative impact on future capabilities. It can increase the risk of serious or severe injury and will make treatment more complicated. Truth: During intense exercise, the body will secrete adrenaline, which stimulates the autonomic nervous system of the body, causing you to be unable to sleep. Because of this, it’s best not to overdo any exercise just shortly before going to bed. With light exercises, however, such as stretching, the body secretes endorphins, which cause the body to be relaxed and allowing you to sleep more easily. If, however, exercise before bed is unavoidable, you may choose to increase the duration of your cool down or take more time for stretches after an intense exercise routine. Truth: Immediately after exercising, the body’s temperature is high and the body continues to release sweat through its pores in order to cool the body temperature. If you take a cold shower right away after exercising, the blood vessels under your skin and the pores immediately contract, causing a negative effect on the body, as it tries to adjust its temperature suddenly. Instead, you should take about 10-15 minutes after every workout for your body to cool down, allowing your pulse rate and body temperature to drop back down to normal and thus reduce any possible complications from exercise. True or False: 7 Common Beliefs About Before and After a Workout To find out about exercising are true or false, we need to listen to actual experts on the subject, so that we don’t share incorrect information unknowingly.